Hey everyone! I hope your week is going well. 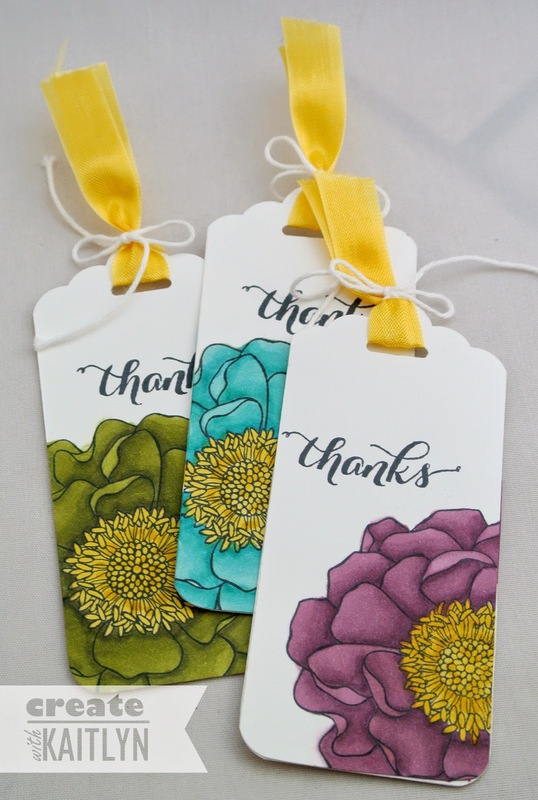 I thought I would give you a little mid-week pick me up by sharing this beautiful set of tags I made using the Blended Bloom stamp and Blendabilites (not quite yet available to customers). 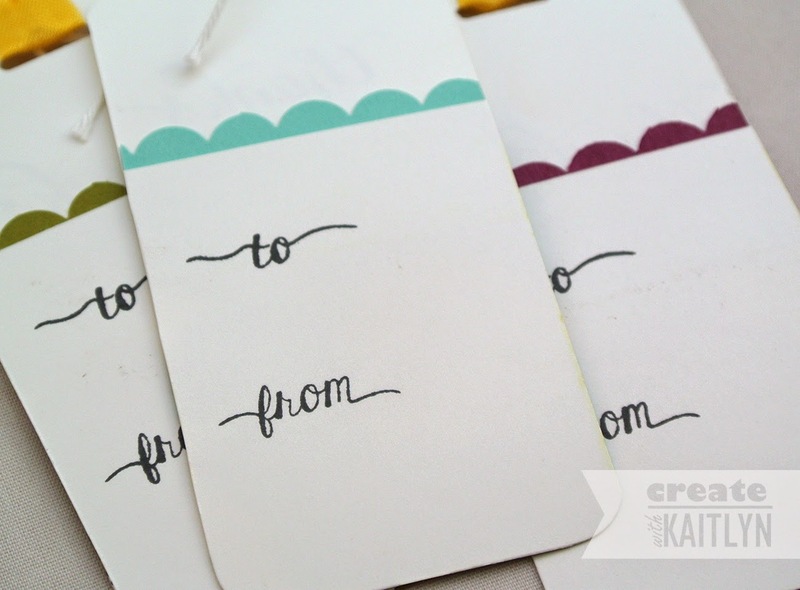 These tags were pretty simple to make as I let my coloring be the focus (look for a tutorial on how I colored these Friday). I used the Scalloped Tag Topper Punch on some Whisper White Card Stock to get the pretty end. The bottom corners of the tags were rounded to match the scallop at the top. 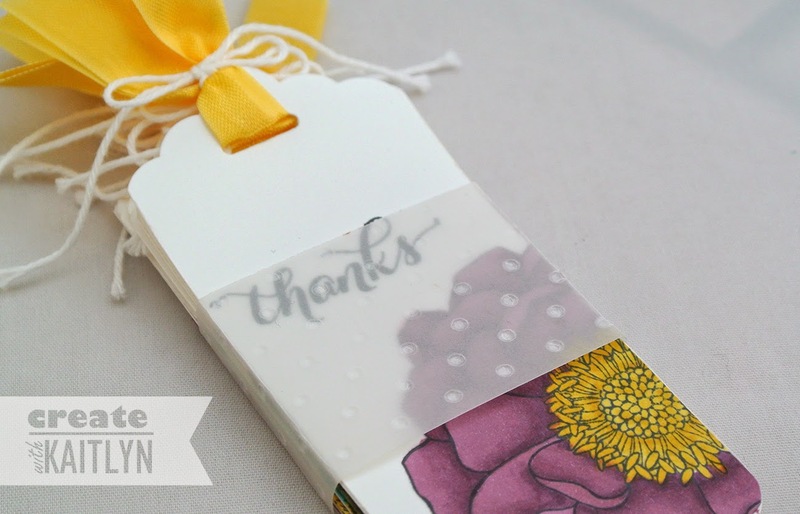 The "thanks" is from the Another Thank You set and pairs beautifully with the bloom image. Since the Blendabilities bleed through the card stock, I cut another piece of Whisper White Card Stock to cover it up. Instead of leaving the harsh line, I added a Scalloped Edge in the coordinating color to the front. The "to" and "from" in the Christmas Tagables stamp set matched the "thanks" perfectly, so I had to stamp them on the back. I made three of each of the colors (so nine total), and needed a way to keep them together. A belly band made from Vellum Card Stock was a quick, simple, and pretty solution. This little set a tags would make a beautiful gift!